Respected tech reporter Joshua Topolsky is putting it all out there over at The Verge, reporting that the chatter about Valve Software getting into the hardware business isn't a tease. He says Valve is making a console and that we're going to be finding out about it soon, maybe next week at the Game Developers Conference, or maybe in June at E3. The Valve console—which seems like more of a hardware standard than say, a Steam 64 or ValveStation—would be a set-top box that can run PC games and use Steam or even competing services such as Origin, according to the report. Unlike the Xbox 360 or PlayStation 3, multiple manufacturers could be allowed to make it. Game developers wouldn't have to pay for a licensing fee to Valve for the privilege of making games for this console, bucking the standards of Nintendo, Sony and Microsoft, which charge game creators to make games on theirs. Wii Vitality Sensor Too Mellow For E3? Apparently meetings were held during CES to demo a hand-built version of the device to potential partners. We're told that the basic specs of the Steam Box include a Core i7 CPU, 8GB of RAM, and an NVIDIA GPU. ..
Topolsky builds his case by combining the rumors he's heard with recent statements from Valve boss Gabe Newell about a willingness for Valve to make hardware and a wariness about the expanding influence of Apple's closed, tightly-controlled app store. Valve has earned legions of admirers for their games (Half-Life, Portal) as well as for Steam, the leading PC gaming service for connecting players and selling games online. Read the whole Verge piece. 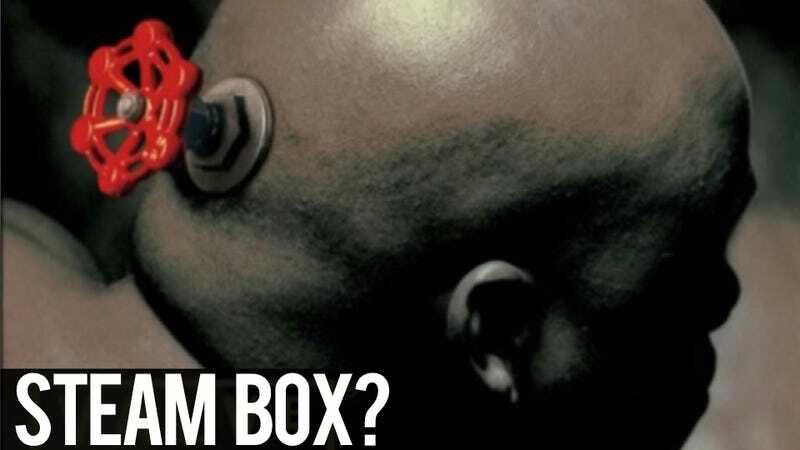 We've asked Valve for comment, and our ears are certainly perked up. If we hear more about this from anyone, we'll let you know. So... maybe Valve was saving the next Half-Life to launch on their first console? Couldn't be!